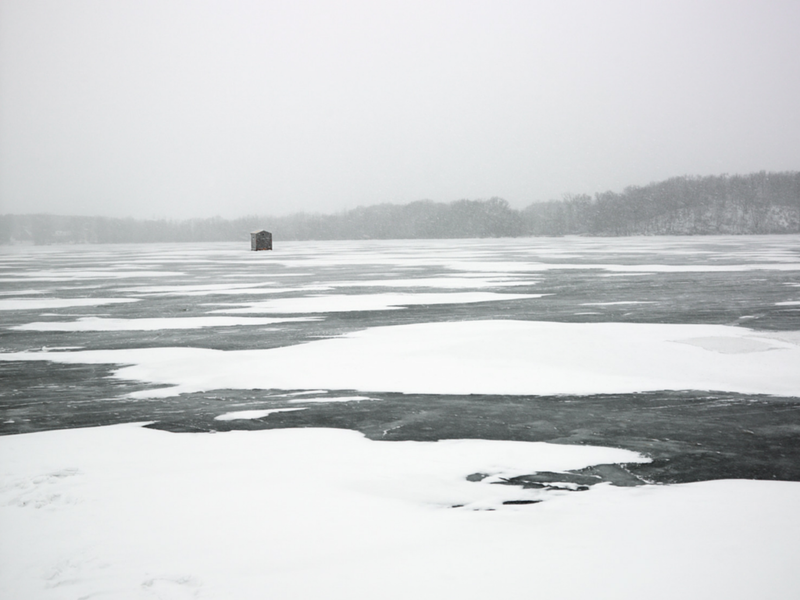 Ontario’s frozen lakes, ponds and rivers make a wonderful winter playground for many people. From skating to snowmobiling to a simple stroll across the ice, these winter activities are part of our heritage and part of what makes living in this Province great. Unfortunately, deaths occur ever year as people fall through the ice. With common sense, a little preparation and some safety equipment, many of these fatalities could have been prevented. Here’s how you can make your outdoor adventures a little safer. Never assume the ice you are about to venture out on is safe simply because of sub-zero temperatures and snow accumulation. There are many factors that determine the thickness and density of ice, most of which are not visible to the eye. Water depth, fluctuating water levels, currents and rapidly changing weather patterns are just a few factors that dramatically affect ice conditions. Never go out on the ice alone – always travel with at least one other friend. Visually inspect the ice conditions from shore. Look for signs of unsafe conditions such as open water or large pressure cracks. Check with the local authorities to see what the ice conditions are like. Before venturing onto unknown waterways, make a hole with an auger or an axe reasonably close to shore, to get a clearer picture. Always tell someone exactly where you are going and when you expect to be home. Pack a 50-foot length of rope in case someone in your party falls through. Never run close to the ice edge to pull someone out – use the rope. Whenever possible, wear a flotation suit. If you do fall in, this will keep you near the surface and slow the effects of hypothermia. Always take a set of picks with you. These are basically two handles with nails in the ends that are attached to one another with a length of string. They can be purchased at most outdoor stores for approximately $15 and will make it easier for you get out of the water if you fall in. Remember no ice is 100% safe. However, as a general guideline the minimum ice thickness to support an adult is 4 inches, snowmobiles require 6 inches and cars at least 12 inches. If you’re not sure, err on the side of caution and don’t go on the ice. It’s amazing how quickly accidents happen. Be aware and be prepared to make your ice adventures safe and enjoyable.